One of the many things I love about living near Cardiff is that the city is home to an e.l.f. store— the first (and, as far as I’m aware, only) e.l.f. store in Europe, in fact — and when they offered to book me in for a makeover* I couldn’t refuse. It’s been a long time since anyone has done my make up for me, but Antonia made me feel very relaxed, and asked me what I wanted. 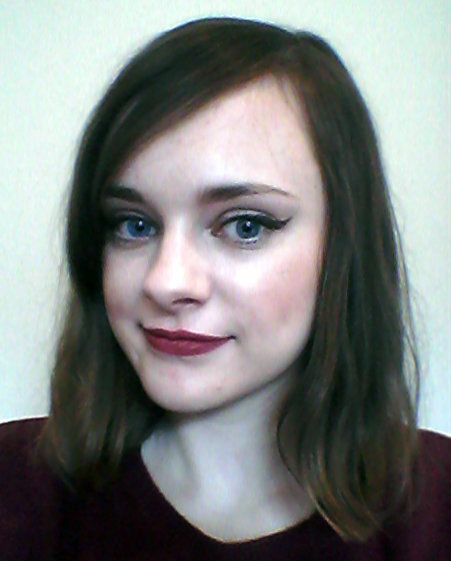 Since it’s Autumn, I decided on berry lips, and jumped at her suggestion of winged eyeliner to go with it. She started with base. The first foundation, a liquid one, was too dark, but the mineral one was spot on (and meant I didn’t need a separate powder). Antonia concealed the skin under my eyes, filled in my brows, and then used a light shade of bronzer for contouring. A fairly neutral shade of blush was popped on the apples of my cheeks, and cream highlighter was applied along my cheekbones and the centre of my face. Antonia used cream liner to apply the best cat-eye flick ever, which I have yet to recreate myself. I went for brown, as black can sometimes be too harsh in the day, especially with a dark lip. She added a pop of gold mineral eyeshadow to the inner corners, which I wouldn’t have thought of doing but loved, so much so that I bought the eyeshadow afterwards. A couple of coats of mascara and my eye make up was complete. My lips were defined with Lip Liner in Wine, a beautiful berry shade which comes with a blending brush on the end. Red lipstick was layered over the top for the finishing touch. I usually wear lighter shades, as darker ones can sometimes look a little gothic, but this didn’t wash me out at all, and when I went to the hairdressers later that day they loved it. I absolutely love this look. Lots of people in the store commented on how vintage-looking it was, and although it’s more glamorous than the make up I’d normally wear during the day I’ll be trying it again for sure. If you’re ever in Cardiff then I really recommend a visit to the store, whether you want to buy some products, have your make-up done, or just enjoy browsing. 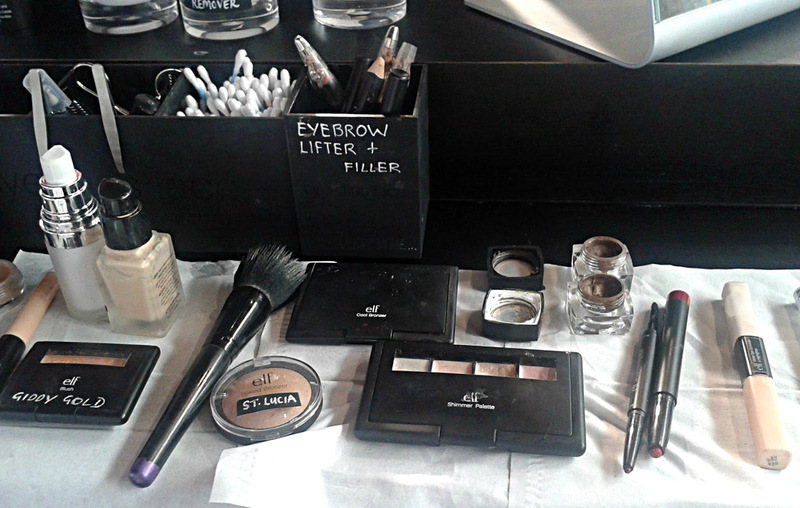 *Makeovers at e.l.f. Store Cardiff cost £20, which is redeemable against products. My makeover was provided for free, but I purchased some of the products afterwards (there was no obligation to do so).